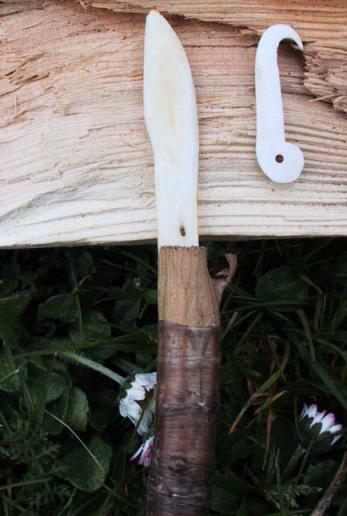 A couple of bone tools; knife on left. "I found a dead deer in the woods one day. 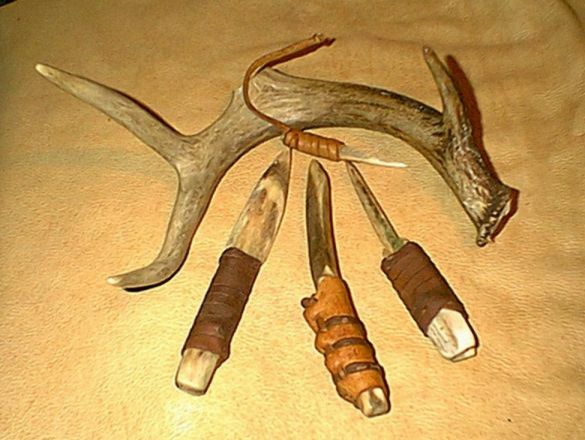 Here are some useful tools I made from the deer's ribs." 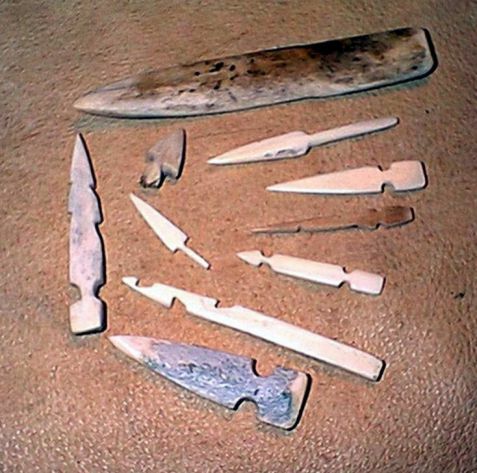 "More bone tools, from that same deer." 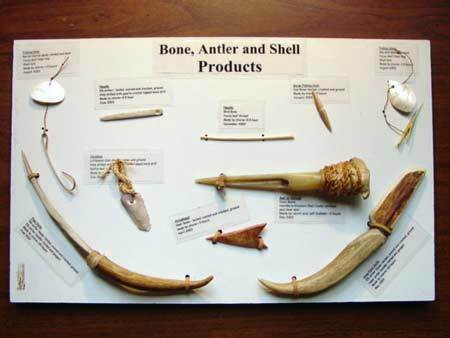 I made this display a couple years ago for use in my Stone Age Skills programs. 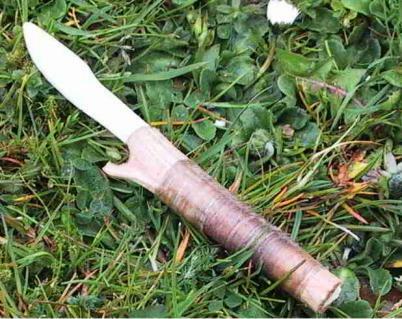 Jeff Gottlieb of New York made the large awl (I decorated it). 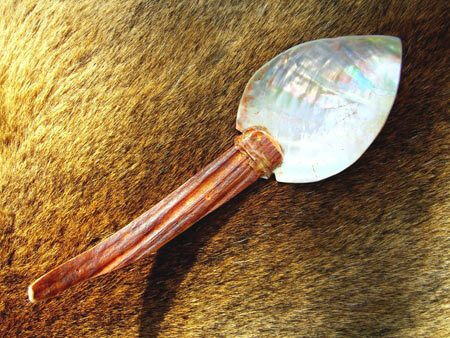 This spoon is made from Abalone and Elk antler.